(Newser) – What is known: In the early morning hours of Nov. 21, a fire killed four young sisters in their Flora, Ind., home. 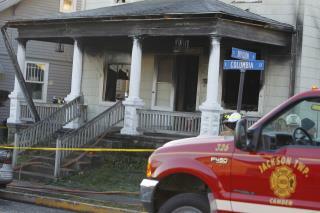 What isn't known: the cause of the fire—or whether it was intentionally set. After the fire that killed Keyana Davis, 11; Keyara Phillips, 9; Kerriele McDonald, 7; and Kionnie Welch, 5, investigators initially said it may have started behind the family's fridge; two months later, it was ruled an arson fire, with investigators revealing that they had found accelerants. But since then, investigators have stopped speaking publicly about the ongoing probe, allowing rumors to fly in the small town, reports the Indianapolis Star in a look at the case. Some wonder whether a family member could be to blame; others, particularly those who saw the girls' single mother, 29-year-old Gaylin Rose, screaming frantically for her daughters after escaping the fire but being unable to save them, decry that idea. Some still clean floors with gasoline. It's common in Latino homes and people do not understand how dangerous this is. One spark and it all goes up. Ask any fireman and they have probably gone to house fire where the floors were cleaned by using flammable solvents. If this was the case it doesn't mean the fire was deliberate. they were girls. Who cares?? ?